They are excellent hunters and have a smarter approach towards preys. They are medium sized species from Canidae family. In Eastern Africa there are three varieties of Jackals i.e. Golden Jackal, Canis Aureus, side-striped jackal Canis Adustus and Black-Backed Jackal Canis Mesomelas. Most animal lovers recognize jackals as dog like animal. Body fur of jackal is either golden, reddish brown or ginger colored. Jackals scream, yell and yap when they hunt prey. Jackals are one of the evergreen animals, who mate and hunt throughout their life. 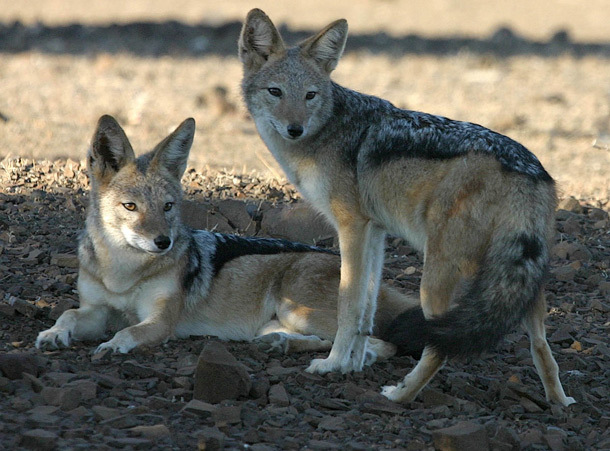 Black-backed Jackals have black hair on back that contrasts with their rust colored body and black-tipped tail. 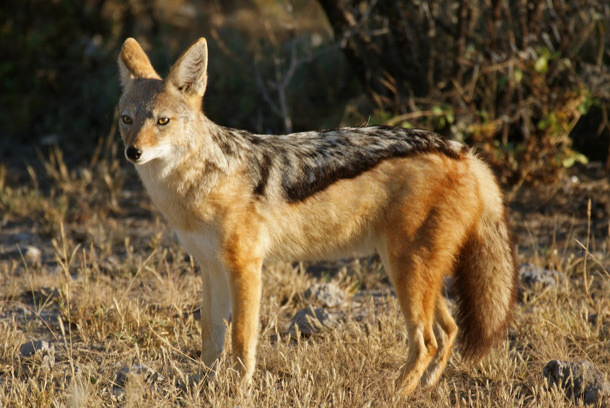 Side-striped Jackal is bigger in size as compared to black-backed Jackals. 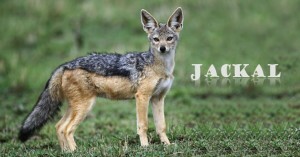 Golden Jackals are short however black-backed jackals are the most slender compared to all other breeds of jackals. In fact, there are 13 subspecies of Golden Jackals. Ethiopian jackal is endangered because of ineffective habitat methods and due to various diseases from domestic animals such as dogs. Distribution: Golden Jackals are majorly found in Asia, other species can be easily found in most of the African region. Side-stripped jackals are found in Central and Eastern Africa. Habitat: Open and wooded savanna. Diet: Considered as clever and opportunistic omnivores. Diet includes Antelopes, Sheep and livestock. Generally Jackals follow big cats and enjoy having leftover from their prey. Visit Khao Kheow Open Zoo one of the best in Bangkok and enjoy with your family and friends with the incredible varieties of Jackals and experience the adventurous Journey to the jungle. There are wonderful scenes that are absolutely must watch for every visitors.